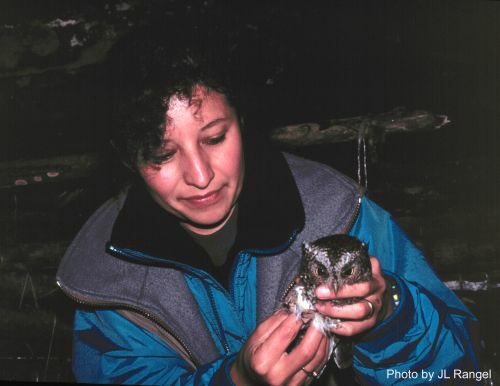 The owls of the tropics and southern hemisphere are far less studied than those of the northern hemisphere, but Dr. Paula Enriquez has spent 25 years working to change that. Working predominantly in Mexico, but also in Costa Rica and now Colombia, Dr. Enriquez has studied no less than 15 species of owls and has worked to engage others in the cooperative study of owls. Very importantly, she organized the first and second symposia on neotropical owls held in Perú and Costa Rica, as well as started a group for researchers, students, and the general public to share information. Dr. Enriquez’s research has focused primarily on ecology and conservation, yet she also recognizes the importance of reaching and engaging the general public. Her studies of the Bearded Screech-Owl resulted in the IUCN reclassifying it from Near Threatened to Vulnerable. She has published 40 scientific papers on owls, 22 book chapters, 42 outreach papers, and has done at least 38 presentations to reach both scientific and popular audiences. Without a doubt Dr. Enriquez is the leading expert on owls in Mexico. Perhaps her most well-known accomplishment is editing a major book published in both Spanish and English: Los búhos neotropicales: diversidad y conservación in 2015 and reprinted in English with 19 chapters in 2017 (Neotropical Owls: Diversity and Conservation). This whopping 670 page tome addresses systematics, diversity, research, threatened species, and conservation strategies in each country. It was an enormous undertaking involving working closely with the best owl authority in each country. Together with Colombian colleagues, Dr. Enriquez is now working on a guide to Colombian Owls: Búhos de Colombia. Dr. Enriquez is a leader in bringing people together to work to learn more and educate about owls in Central and South America. 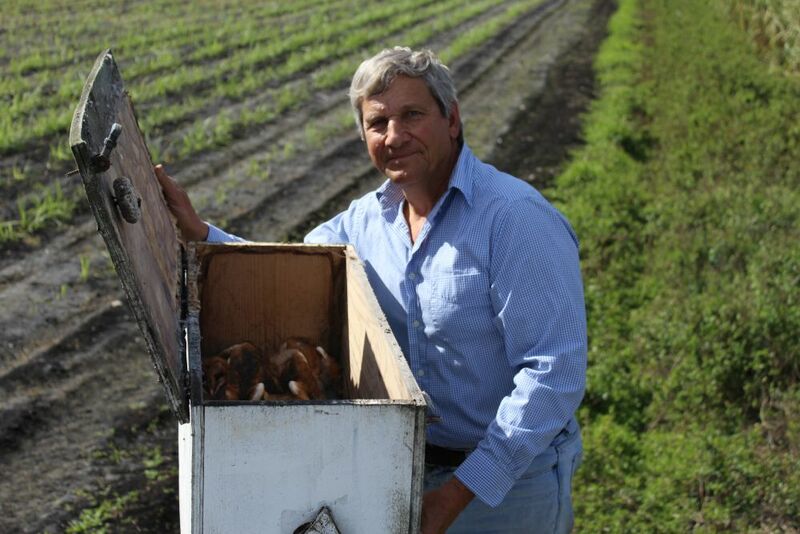 The ecosystems around the Florida Everglades are healthier thanks to Dr. Richard Raid’s extra-curricular love of working with owls, students and farmers. Dr. Raid’s primary occupation is as a plant pathologist with the University of Florida, but his passion is the Barn Owl Project. The idea of using Barn Owls as biological pest control in the Everglades Agricultural Area stemmed from a high school science fair project in 1994. Dr. Raid took the idea and ran with it, engaging thousands of students along the way to build the owl nest boxes and dissect owl pellets to understand what the owls were eating. Two students have also completed their Master’s degrees through the Barn Owl Project. Dr. Raid also engages the farmers themselves in the project, and as a result the sugarcane companies sometimes pay for the nest box building supplies. Farmers are saving millions of dollars in crop damage every year thanks to the Barn Owls. While the project started with only a few dozen pairs, there are now more than 400 pairs, with a whopping 80% of nest boxes occupied. Besides greatly increasing the population of owls in the area, it also has greatly reduced the use of rodenticides which helps owls as well as many other predators in the area. Faced with invasive Africanized honey bees invading the owl nest boxes, Dr. Raid developed effective methods to get them out of the boxes and into hives where they could be captured. This technique helps more than just owls, since these bees also attack humans. Dr. Raid participated in the first international conference on using Barn Owls as biological pest control and is currently helping to write a field manual on the subject. His passion will likely continue to make a significant positive impact on owls, farmers, students and the environment for years to come.